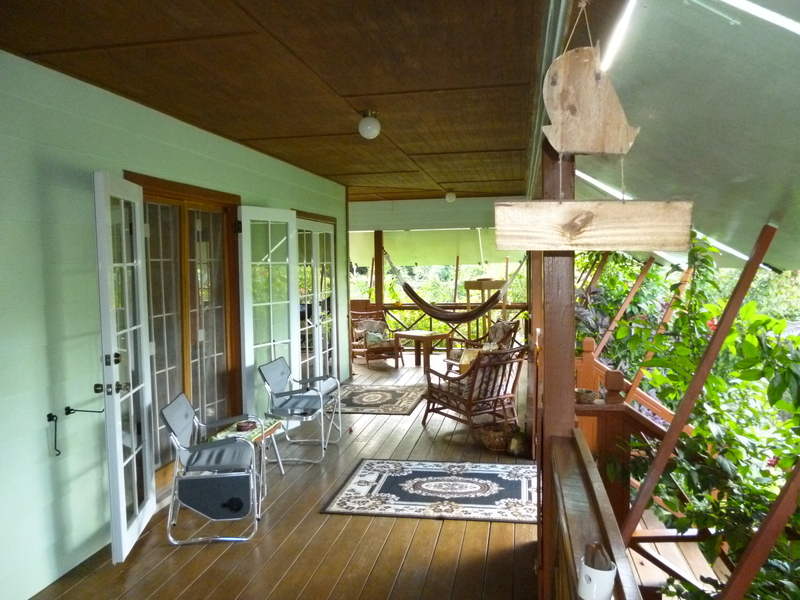 The large wooden veranda goes round two sides of the house (or the gallery as the owners like to call it) and is designed to seduce local wildlife: it is surrounded by lush green tropical plants and trees; there are tins of water along the banisters, which must feel like a free bar to the birds; and there is a bird table with daily specials. Yes, it is a 5 star all-inclusive package. 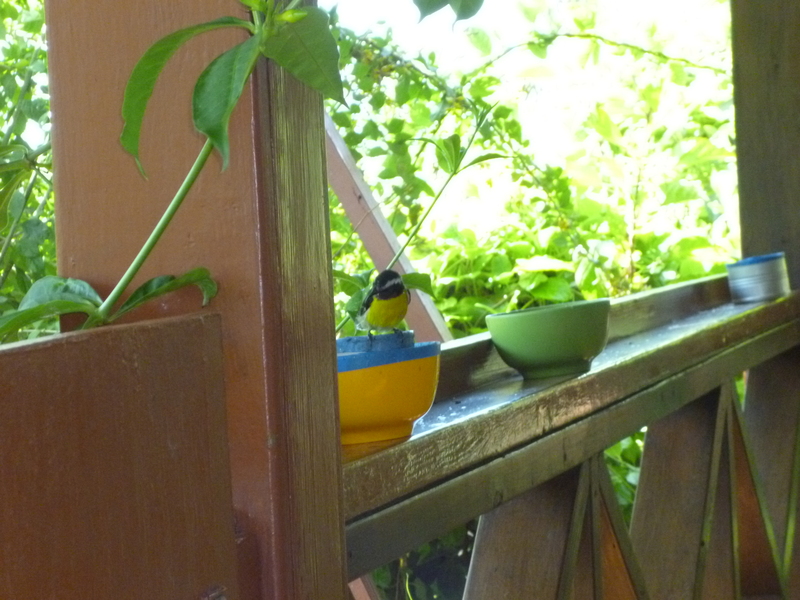 I sit back and sip my coffee, but it is only moments before I am distracted: a small bird with a bright yellow breast – a Bananaquit – rattles the silver water tin as he quenches his thirst. He takes his time, looking up periodically to see what is going on – maybe he is nosy like me. Or maybe he is shy, he seemed to check no one was looking before dunking himself in the tin for his morning bath. A hummingbird is next to visit. 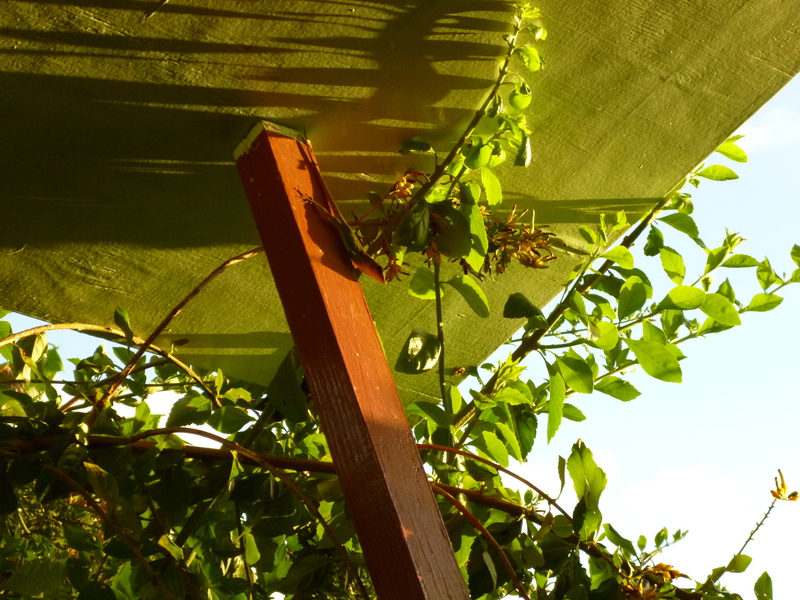 He is dark purple – a Purple-throated Carib – and he hovers above the hammock. 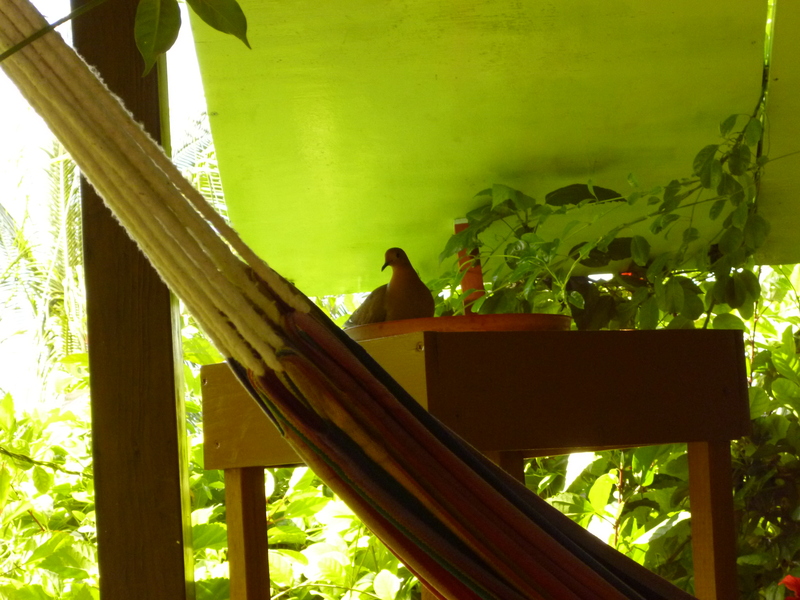 He is taken with the rope that holds the hammock in place, and as he hovers he nibbles at the rope (great nesting material no doubt); his wings vibrate at such a speed they almost look invisible. 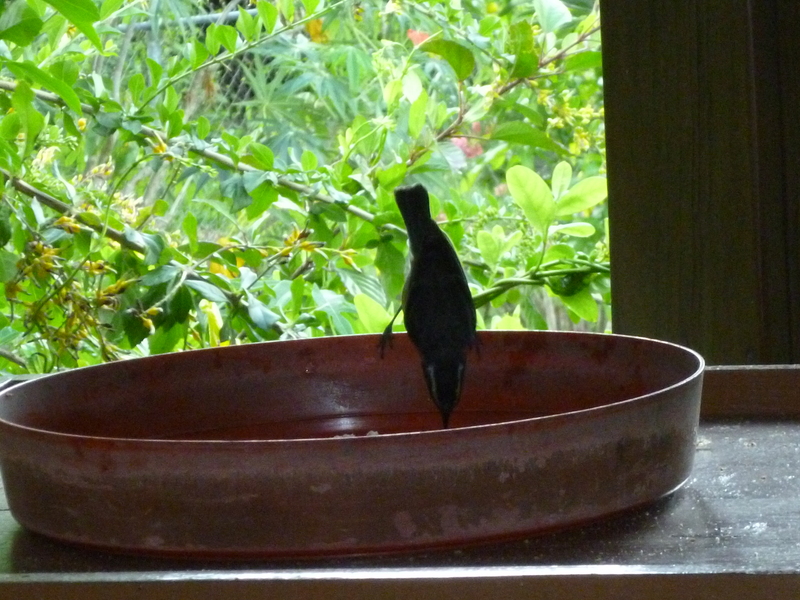 On the other side of the gallery a larger glossy black bird – a Carib Grackle – also pops in for breakfast and a bath; he seems enormous next to the Bananaquit and Hummingbird. In the background it is noisy with the sound of the birds (I am amused that I have swapped morning tweeting for listening to the real thing). There are many different types of sounds, some squawking, some short and chirpy; and the Carib Grackle makes a whistling noise, which sounds like it comes straight out of a joke shop. And not to be outdone, the cows in the field behind join in the morning chatter. I then notice a small lizard moving up the wall Spider-Man style; he makes hanging off the wall look effortless and can hold his position indefinitely. I imagine the extreme stillness to have great purpose: maybe he is observing his prey, or maybe he is weighing up the threat of his surroundings – Jack Bauer style. After his reconnaissance is complete he dives at his target, head first he runs down the wooden beam at the speed of an Olympic sprinter. 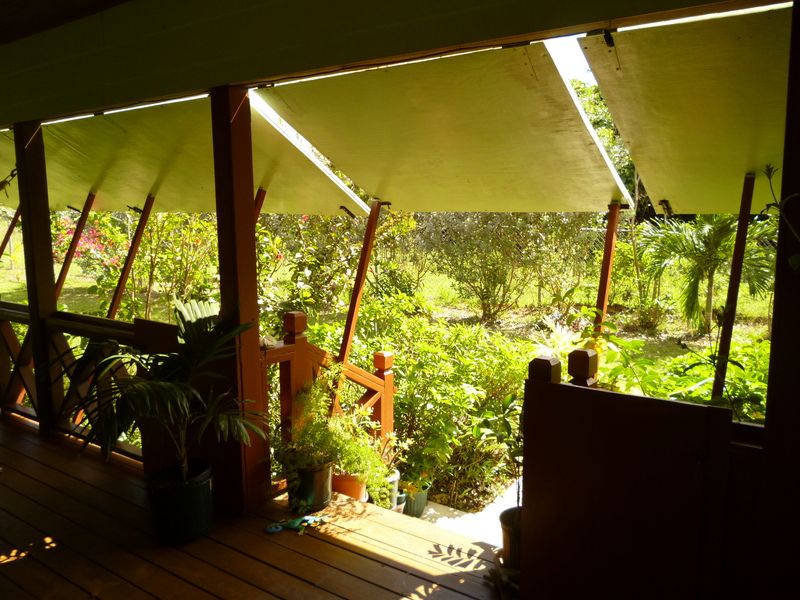 The gentle breeze flows through the tropical garden, rustling the leaves as it goes. 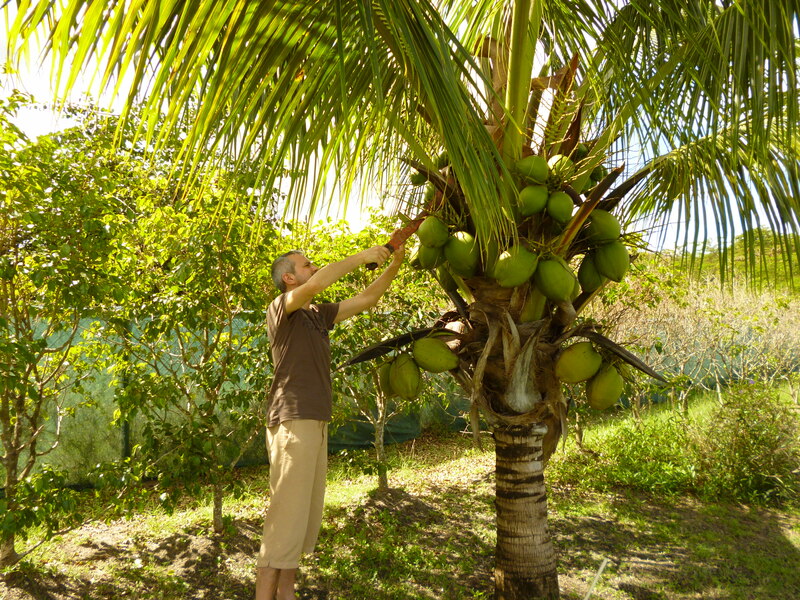 The banana trees in the garden provide a tasty alternative to the daily offerings at the bird table; the coconut trees are safe (well, from the birds anyway – Husband did an impressive job of wielding a machete so we could enjoy fresh coconut). 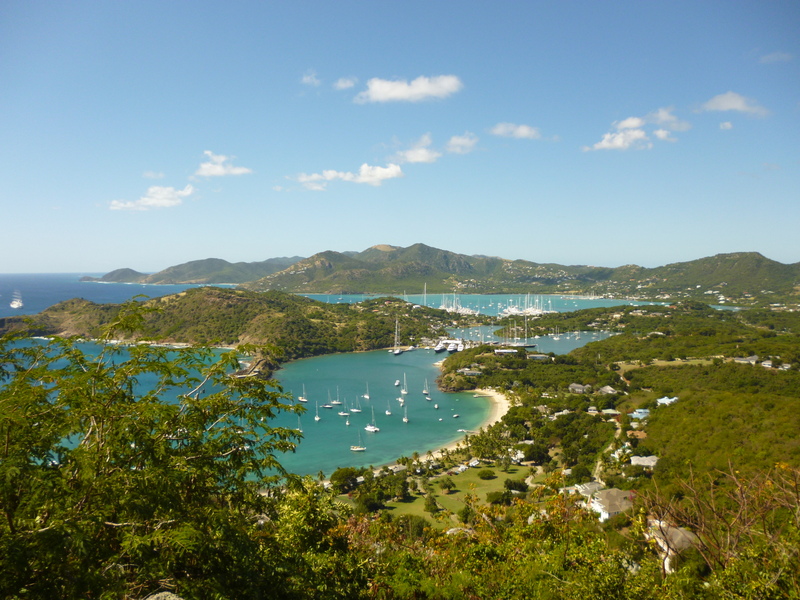 Staying in the middle of the island was a lovely way to see a different side to the Caribbean. 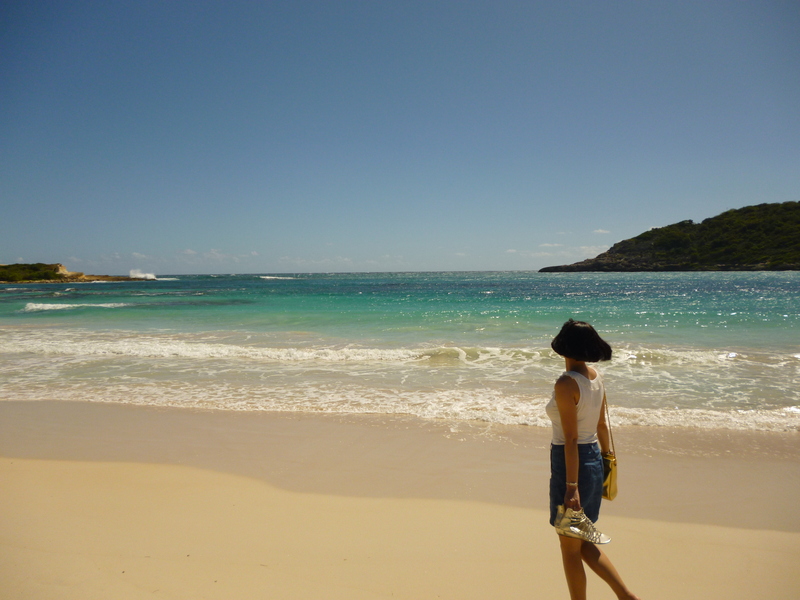 But we did force ourselves to leave occasionally – there are after all 365 beaches in Antigua to visit. Shirley Heights - yes, I wish I was back there! Can I breathe out yet...? girlfriend – I am jealous! It looks gorgeous and so do you. It sounds like you had an AMAZING time – how wonderful! I won’t lie – it was amazing. I am jealous of me! Sounds gorgeous, glad you had a lovely time. Yes, absolutely gorgeous – all of it. I know you get lots of birds visiting you, but more of a novelty for this city chick! Sounds like my kind of rush hour! I love the shot of the horses in the water. I wish I was there too! 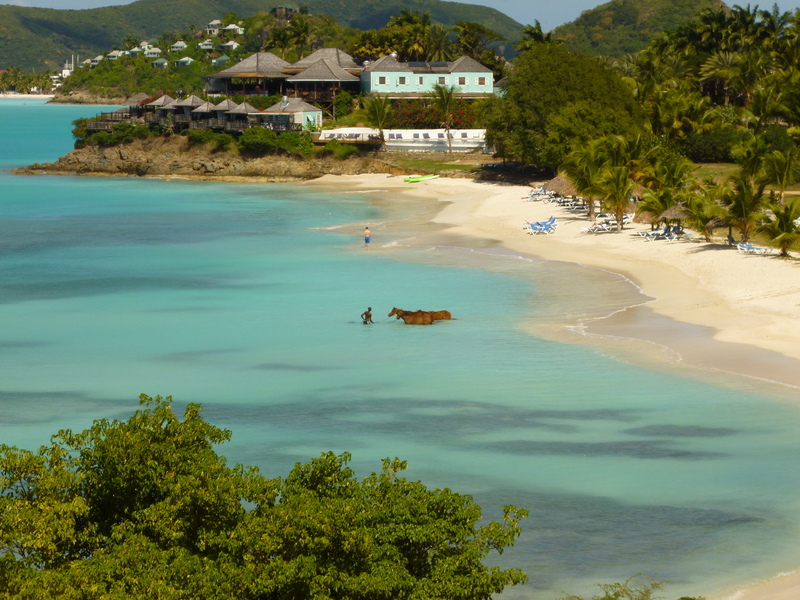 Yes, we were sitting having a rather tasty lunch (fresh tiger prawns in a coconut sauce…) overlooking this particularly stunning bay, when I noticed this man taking his horses into the water. They didn’t seem that impressed to be honest, but we were! 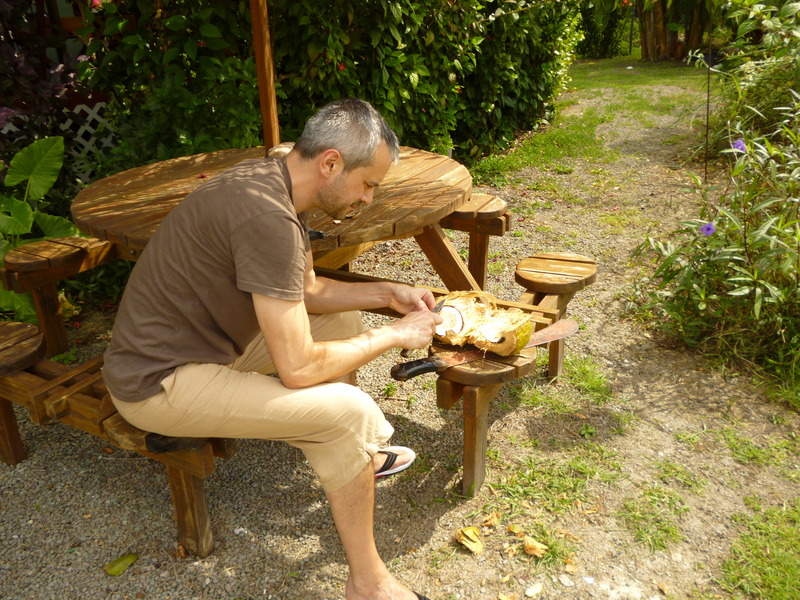 Pingback: What a difference a year makes… | Get Your Life Back From M.E.